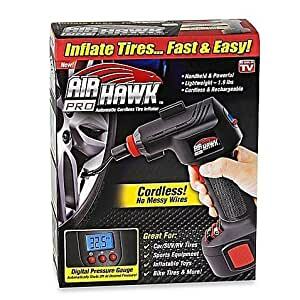 Enjoy cordless convenience when filling your tires with the Air Hawk Pro Portable Air Compressor. The built-in pressure gauge automatically stops at the desired pressure. The Air Hawk Pro also inflates sports balls, air mattresses and pool toys.